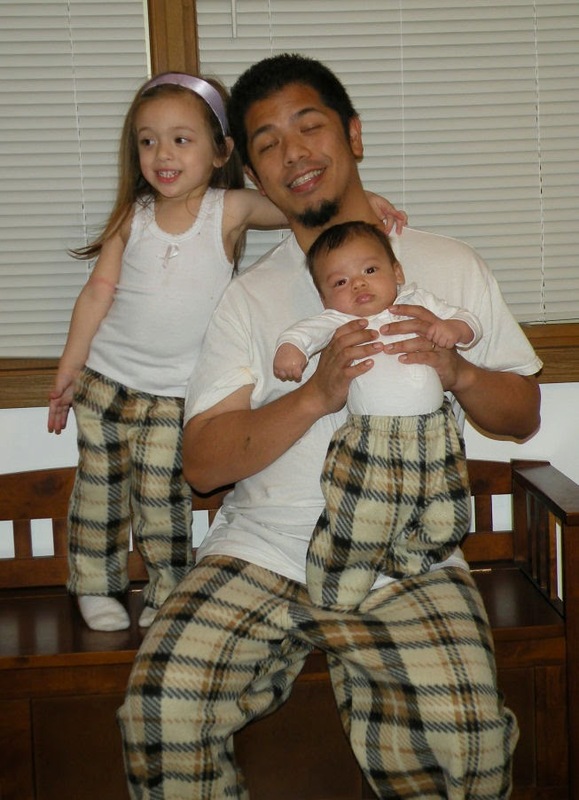 This evening I whipped up a pair of lounge pants for Miss M to match her father and brother, much to her delight! I'd make myself a pair and be ridiculously matchy, but there isn't enough fabric left. Oh well, I have enough lounge pants for now anyway.